Native New-Yorker and Minneapolis-based singer-songwriter Nicole Serrano is taking her place on the music scene. This stunning young artist has a dynamic voice and is a poignant songwriter who plays with contagious passion. She began singing in church at the age of 10, quickly becoming a self-taught multi-instrumentalist. It wasn’t long after learning how to strum a few chords on a guitar that songwriting became a new fascination. Since arriving in Minneapolis in 2006, she has accumulated a wide fan base. In 2008, Nicole released her debut album, “The Way It Should Be,” produced by John Carter and has successfully sold numerous copies as an independent artist. A few short years later, major and indie record companies caught wave of the buzz and immediately took interest in her voice and songs. In 2010, “What I Really Wanna Say,” written with Jonathan Lee, lit up on YouTube. Fans and listeners shared it with friends all over the web and seemingly overnight, it reached throughout the U.S. and overseas. 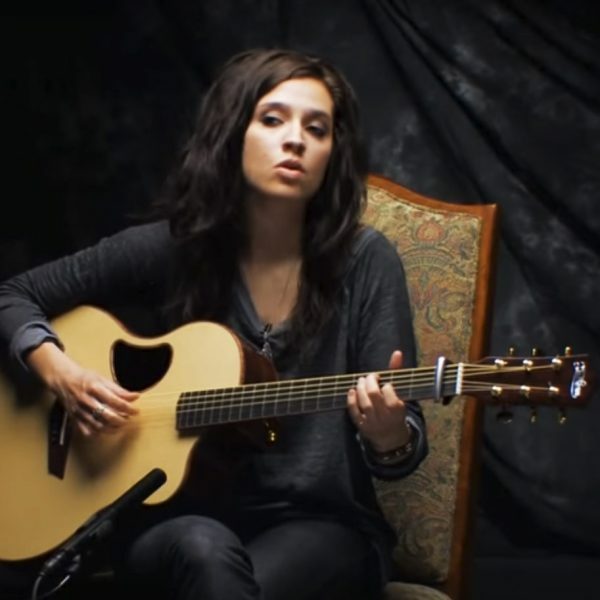 In the beginning of 2011, McPherson Guitars saw the video and signed on Nicole as one of their endorsed artists. Serrano has shared the stage with artists like Starfield, Derek Webb, Superchick, Luminate, Group 1 Crew, Remedy Drive, and Hyland, to name a few. She’s also collaborated with great writers like Mia Fieldes [of Hillsong], Jeff Deyo, Sarah Reeves, Michael Farren [of Pocket Full of Rocks], Phillip LaRue, and many others. At the heart of Nicole’s appeal is her unpretentious spirit. She desires to truly connect with fans and make music that is real and raw. It’s easy to see that this young star was fashioned for the stage, but Nicole’s wish far surpasses the glitz and the glamour. Her aim is to bring encouragement and hope to those caught up in the routine of life and religion. In 2009, Serrano founded The Kimwanga Project, which raises funds providing food, medicine, and shelter for the widows of the Kimwanga Village in Uganda, Africa. You can purchase a Kimwanga Bracelet at her live shows and support the cause. Be sure to check out www.TheKimwangaProject.wordpress.com. Get to know McPherson Artist Nicole Serrano in the “Artist of the Month” video.